From Cozumel to Curacao there’s a wealth of ”fun in the sun” activities and enriching experiences, just right for your family vacation! It’s time to get away with the family to spend time together and create some lasting memories. What better place to head for than the Caribbean with its miles of sandy beaches, bright sunshine and laid back lifestyle? There are countless activities to enjoy from swimming with rays to rainforest hikes. Discover the fascinating underwater world at aquariums like Coral World Ocean Park, St. Thomas. How about going sailing, paddle boarding or paragliding? Many islands have superb spots for snorkeling, a family favorite - especially in the Caribbean where the clear waters and abundant colorful fish make this a thrilling experience. Scuba diving is also exquisite here and on many islands you can take lessons towards PADI certification while on vacation. Families staying at an all-inclusive resort will find a wide range of beach and recreational activities on their door step plus a variety of dining venues, swimming pools and spa facilities. There’s something for all age groups to enjoy! You’ll find this to be a convenient and affordable way for families to vacation in the Caribbean. Then head out to explore the island and discover some enriching experiences beyond the resort. There are fascinating historical spots to visit, markets to wander that put you in touch with the local scene and breathtaking scenic beauty which will amaze you. For a wonderful educational experience, how about exploring the oldest town in the Caribbean: Santo Domingo, Dominican Republic, founded in 1594? In Zona Colonial you’ll find many intriguing historic buildings, plazas and statues. Other islands have their own historic places to visit which illustrate the fascinating and often tumultuous history of the region. 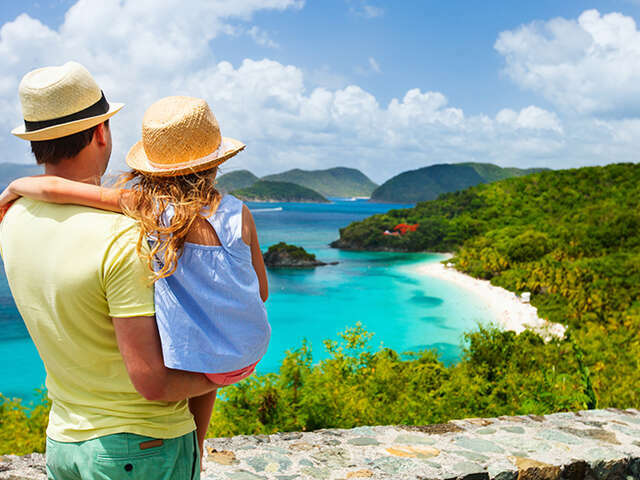 Whether you want to relax at the beach, participate in sports activities or discover the history of the islands, your Caribbean family adventure can certainly be filled with many unforgettable experiences all members of the family will enjoy. CLICK HERE TO VIEW OUR CARIBBEAN VACATION OFFERS!